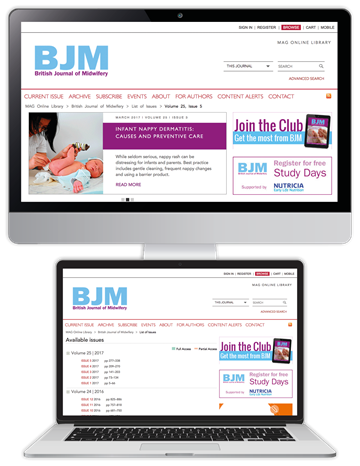 The Black Friday Sale is now on! 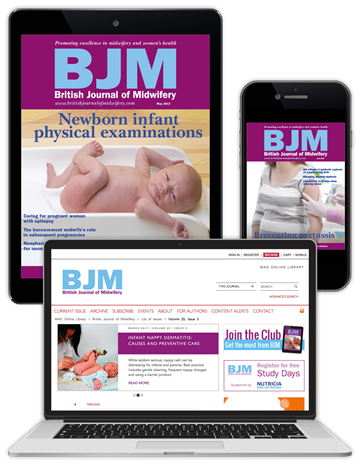 Save up to £53 on your subscription - order now with code FRIDAY20. 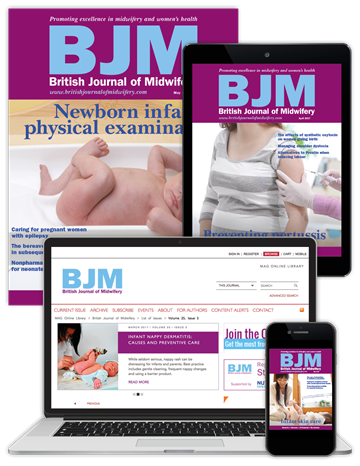 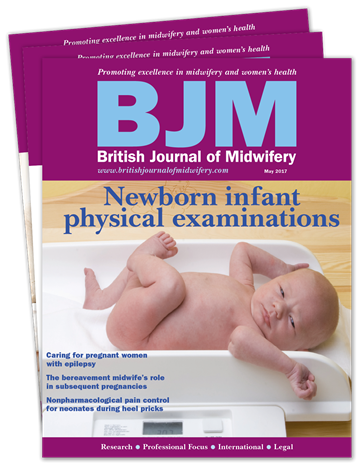 British Journal of Midwifery (BJM) provides practising midwives with a trusted evidence base for clinical practice and an academic platform for their continuing professional development. 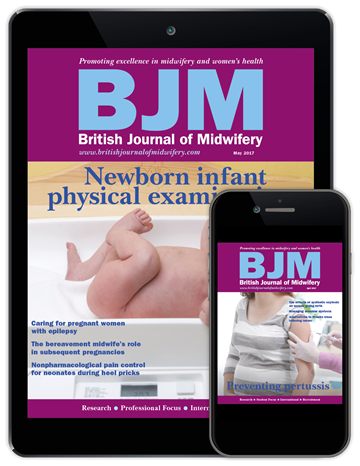 We share the specialist information and advice - on all areas of perinatal care - that is key to unlocking your full potential. 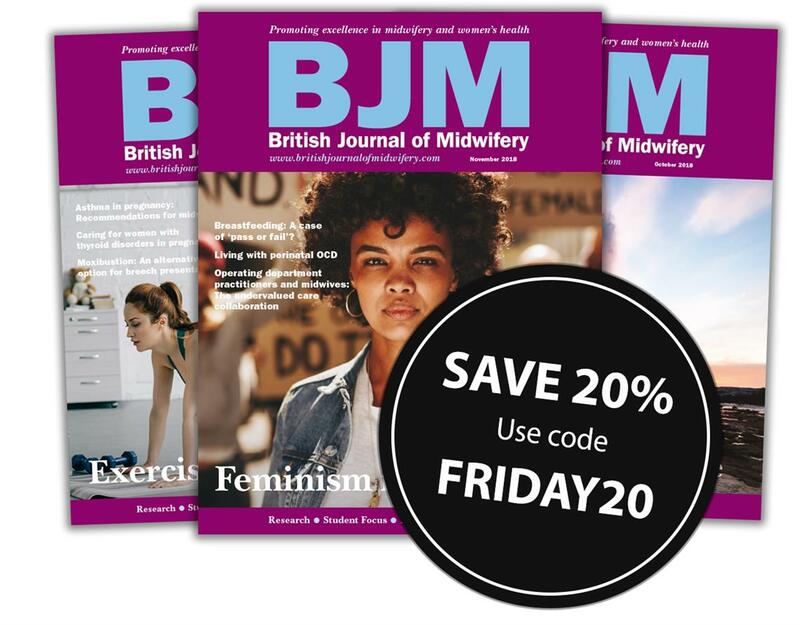 To claim your Black Friday discount, select your chosen subscription option below, and quote code FRIDAY20 when prompted to save 20%.